Meat loaf is the ultimate comfort food, so I was thrilled to find a hundred-year-old beef loaf recipe. 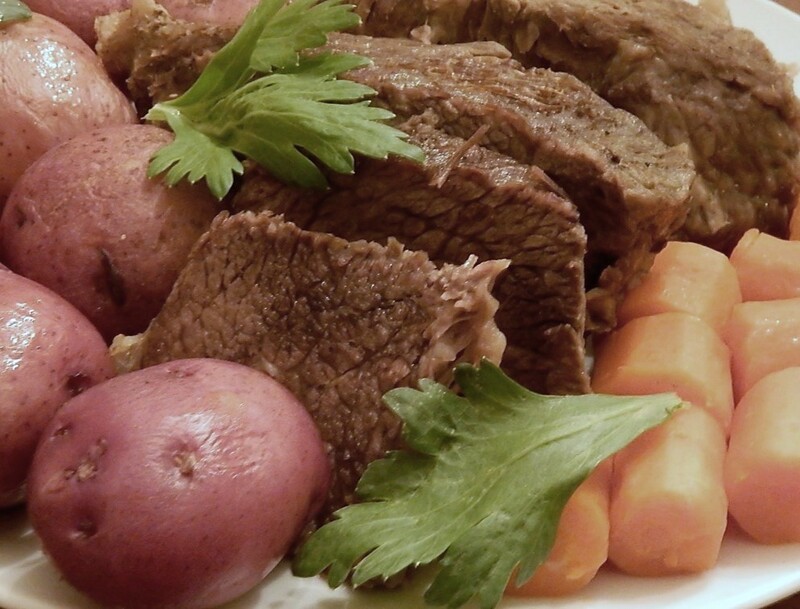 This recipe is different from modern meatloaf recipes. 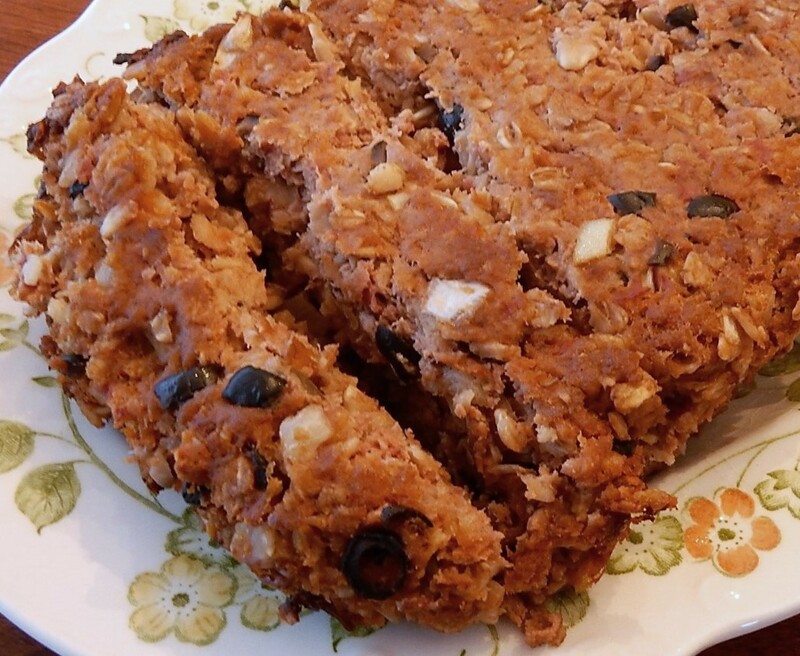 In addition to ground beef, it contained ripe olives, oatmeal, canned tomatoes, and onion; and brought back memories of some meatloaf recipes served at family reunions when I was a child. Preheat oven to 375° F. Thoroughly combine all ingredients in a mixing bowl. Shape meatloaf in a 9″ X 13″ or similar-sized baking dish (or put in a large bread pan). Place in oven, and bake until done (approximately 1 hour). If desired, serve with gravy. To make gravy, put meat drippings from the baking pan in a small skillet. Heat to boiling. Sprinkle with flour and stir to combine. Slowly pour in the water while stirring constantly. Continue stirring until the gravy thickens, then remove from heat and serve. Cook’s note: My meatloaf had relatively few drippings which limited the amount of gravy that I could make. I used ground beef that contained very little fat. Ground beef with a higher fat content probably would provide more drippings. I used less salt than called for in the original recipe. It called for 3 teaspoons of salt. I used 1 teaspoon of salt which seemed like plenty. Pork chops can be a little boring – but add some dressing (stuffing) and an onion slice; and, a mundane meat is transformed into a special dish. 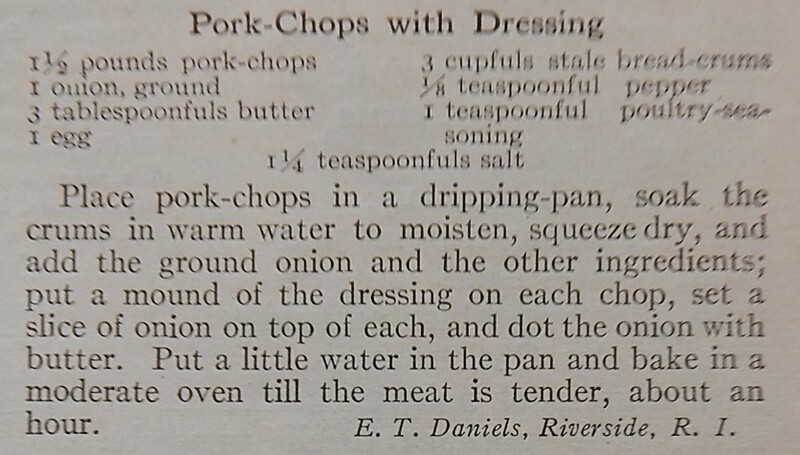 The recipe that I used was from a hundred-year-old magazine – but the Pork Chops with Dressing are timeless. The Pork Chops with Dressing smelled wonderful while baking – and the finished dish did not disappoint. The presentation was lovely, and the dressing was delightful with just the right blend of herbs and onion. Preheat oven to 375° F. Place the pork chops into a baking dish or oven-proof pan. (I used a cast iron frying pan.) Sprinkle each pork chop with salt and pepper, then set aside. Put the bread crumbs in a mixing bowl, then sprinkle water on the bread crumbs. Add enough water, so that when squeezed, the pieces of bread cling together. Add the chopped onion, melted butter, egg, pepper, poultry seasoning, and salt. Stir to combine. Then divide the dressing into five equal portions Shape each portion into a ball and press together firmly. 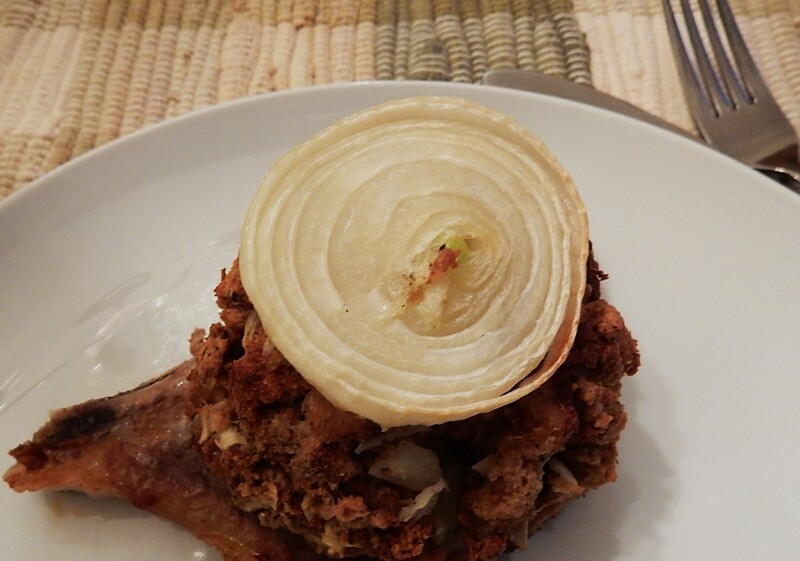 Place a ball of dressing on top of each pork chop, then top each with an onion slice. Dot the onion slices with butter. Pour a little water (about 2- 3 tablespoons) into the edge of the pan. Place in the oven and cook for 50 minutes to an hour. (Time depends upon thickness of the pork chops.) If the onion slices start to brown midway through the baking time, flip the onions and dot with additional butter. Pork chops are a food that I crave in mid-winter, but would seldom think about eating in July. Maybe it brings back vague memories of eating freshly butchered pork in January when I was a child. 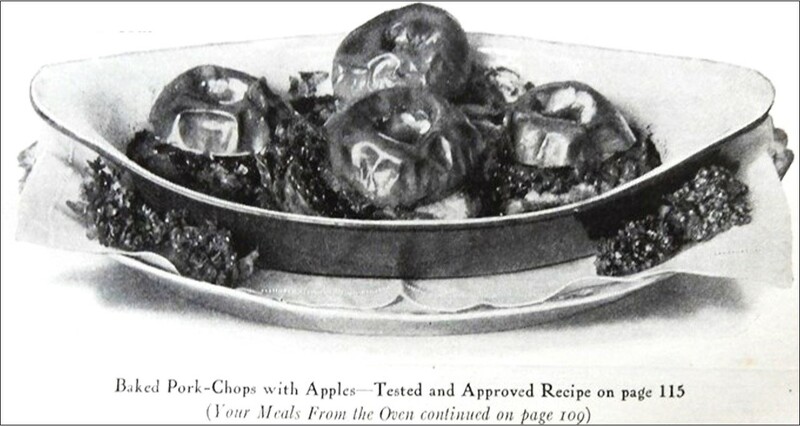 When I saw an intriguing recipe in the January, 1916 issue of Good Housekeeping for Baked Pork Chops with Apples, I immediately knew that I wanted to try it. 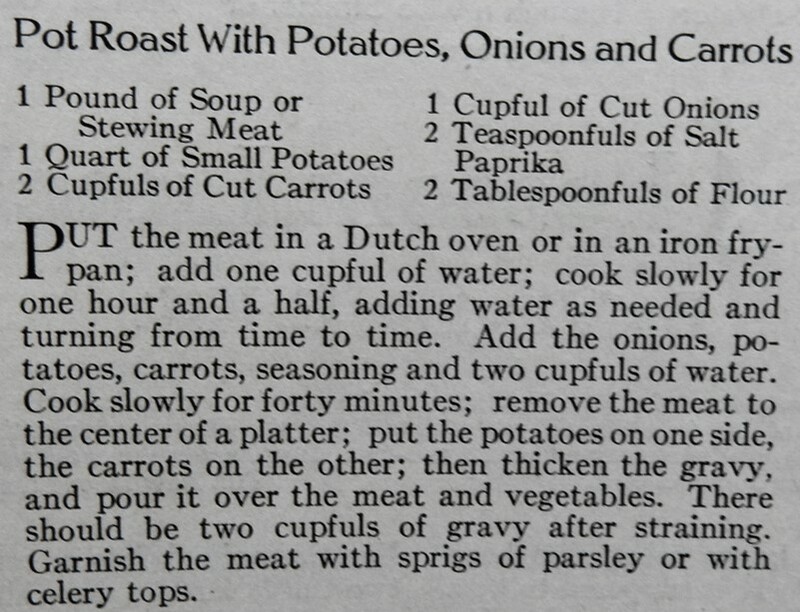 The old magazine featured the recipe–and even included a picture. 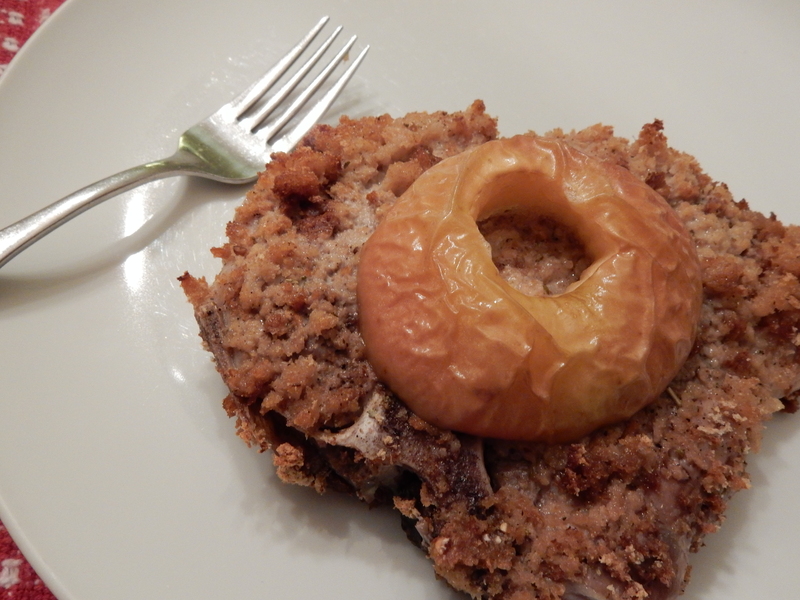 The top of a baked apple showily topped each pork chop for a lovely, yet decidedly old-fashioned, presentation. The pork chops had a nice, slightly crispy, bread crumb coating with sage undertones that blended nicely with the tanginess of the baked apples. Preheat oven to 375° F. Combine bread crumbs, salt, pepper, and sage. 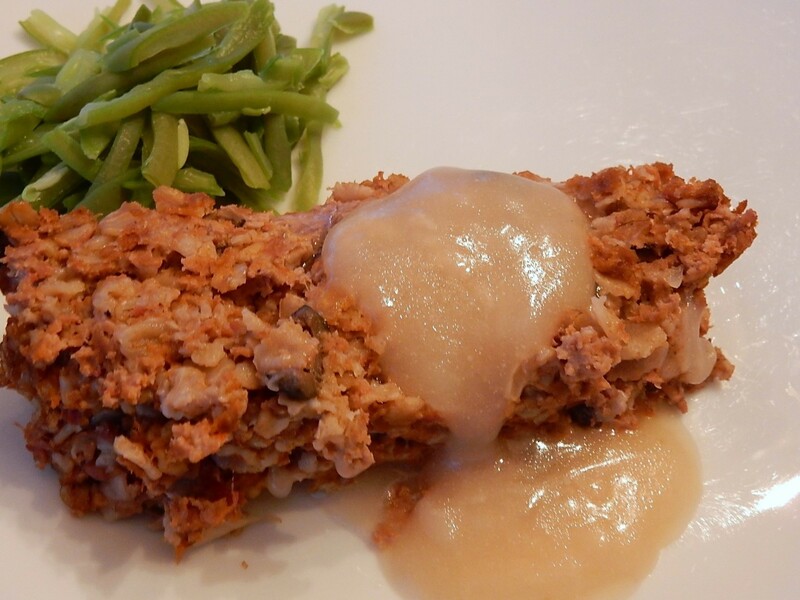 Coat the pork chops with the bread crumb mixture and put in a baking dish or oven-proof skillet. Cut the top 1 1/2 inch off the apples and core. (Reserve the remainder of apple for use in another recipe.) Center a cored apple top on each pork chop; place 1 teaspoon of butter in the center of each apple. Bake for 45 minutes or until the pork chop is thoroughly cooked.